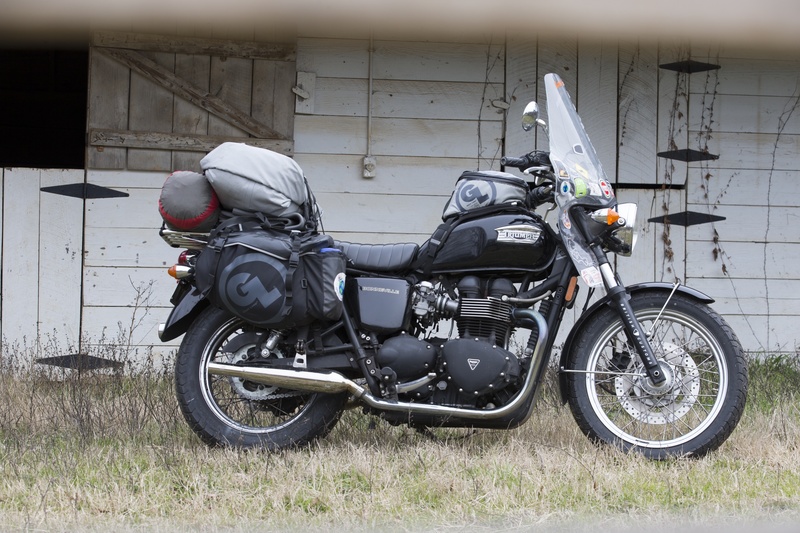 When selecting my choice bike for such a trip I simply went to where my heart was and selected a 2006 Triumph Bonneville to take me around my native country, ensuring great experience and adventure! British Customs for providing a comfortable seat for all the saddle hours – this is definitely a bonus to the standard seat I was going to 20,000+ miles on so many thanks, and the new pipes for better performance. Used for this adventure by Giant Loop… Siskiyou Panniers Pronghorn Straps, Tillamook Dry Bags, Possibles Pouch, Fandango Tank bag Pro, and the Gear Repair Kit. Keeping me safe and comfortable on the ride big thanks to REV’IT for the Sand Ladies riding gear, Pacific H2O rainsuit, summer and winter glovers, the Cooling vest, wrist flux, neck collar, and summer and winter riding socks…there is no worry that if I go down I will be in safe gear, and while riding in any weather I am ready thanks to REV’IT.